Autumn Blaze Maple This tree is an ‘Idaho Preferred’ Plant. 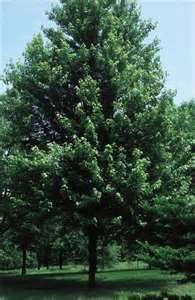 Autumn Blaze is a fast growing, rounded or oval shade tree. The leaves rich dark green all summer turning a brilliant red in the fall. Use this tree as an accent or a specimen. This also makes a great shade tree. It will grow to a height of 50' to 60' and 30' to 40' wide. Autumn Blaze Maple attracts bees, is deer resistant, and is a firewise plant. The leaves are toxic if eaten. It is also drought tolerant once it is established. Autumn Blaze Maple likes to be planted in full sun to partial sun.